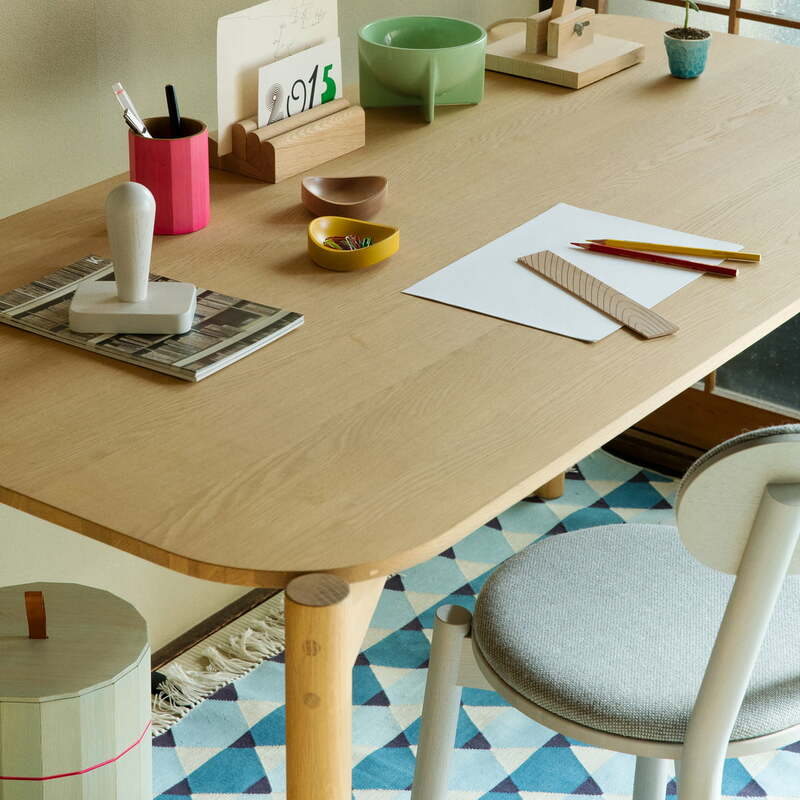 With the Castor chair for Karimoku New Standard, the designer team Big-Game has created an icon for everyday life: the Chair has simple expression rounded off with fine detail. 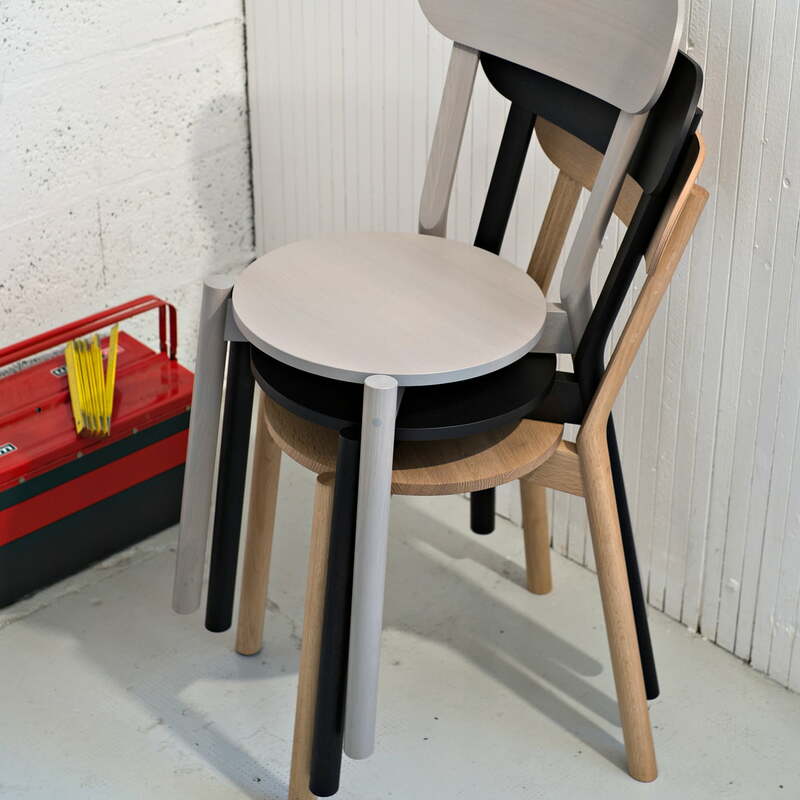 During the design process for the Castor chair, Big-Game drew inspiration from classic café chairs in Switzerland, and reduced them to their basic shapes: the seat of the Castor chair is formed out of a circe, the backrest from an oval and the straight legs are connected with another through a simple ‘X’. The Castor chair’s design makes it equally fit for commercial areas as well as for your home living room. 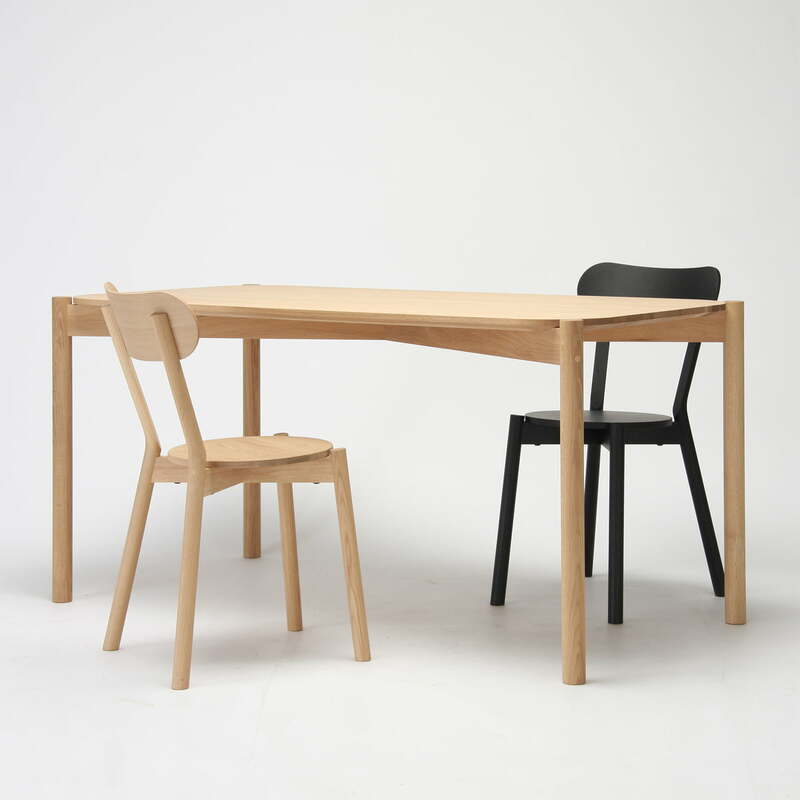 Karimoku New Standard manufactures the Castor chair from solid oak which is meticulously processed. This creates the Castor chair, clear in design yet offering maximum seating comfort. 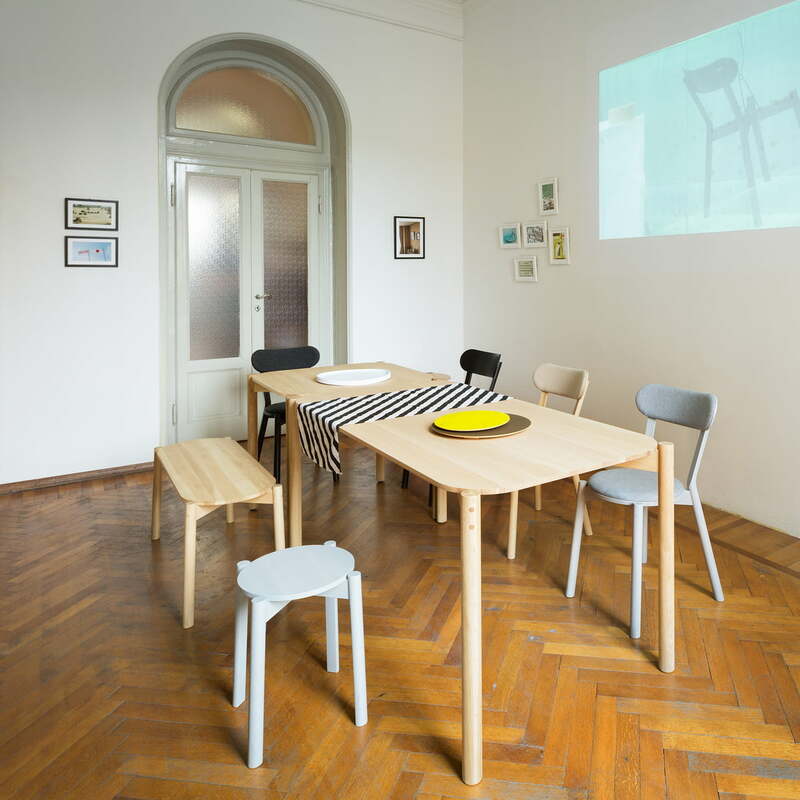 The wooden chair by Karimoku can be stacked up to 5 times and is exceptionally light, making the chair versatile in your home as well as in commercial spaces, where it can be stored to save space if necessary. 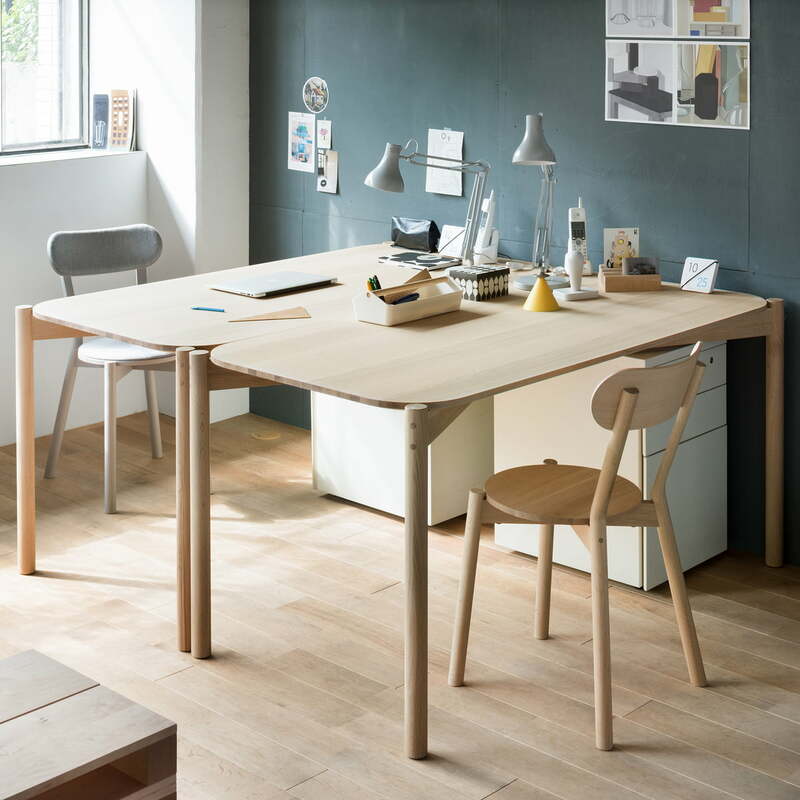 The oak chair is available in various finishes, including natural. 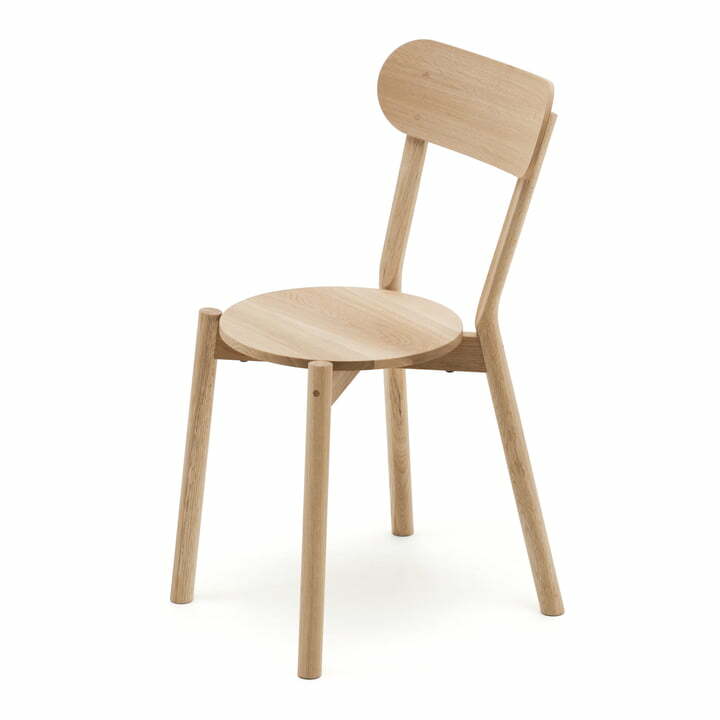 Individual image of the Castor Chair from the manufacturer Karimoku New Standard - . 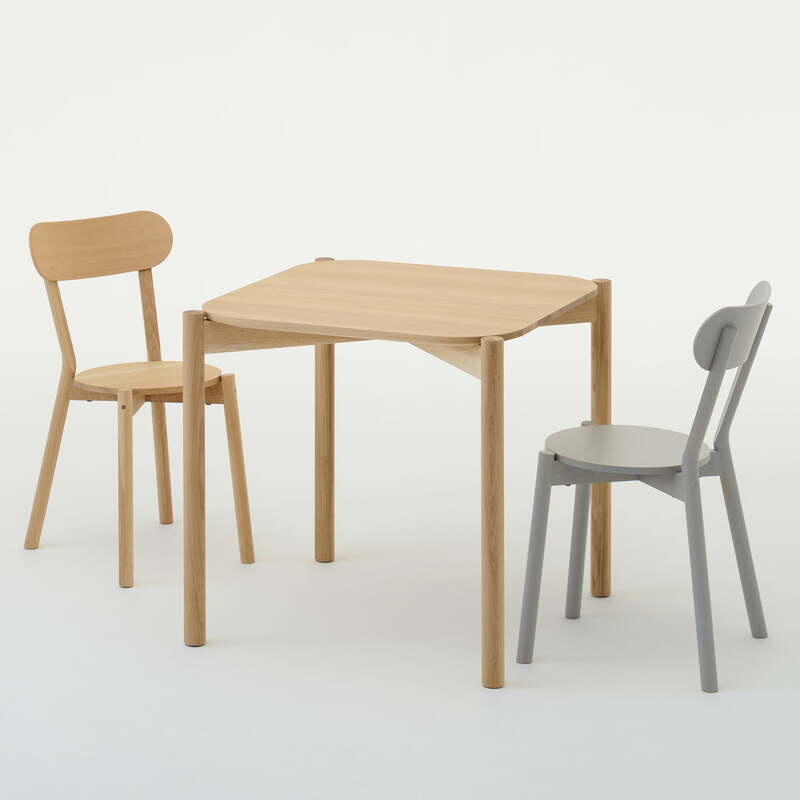 Made of solid oak, the stackable chair was manufactured by Karimoku New Standard. 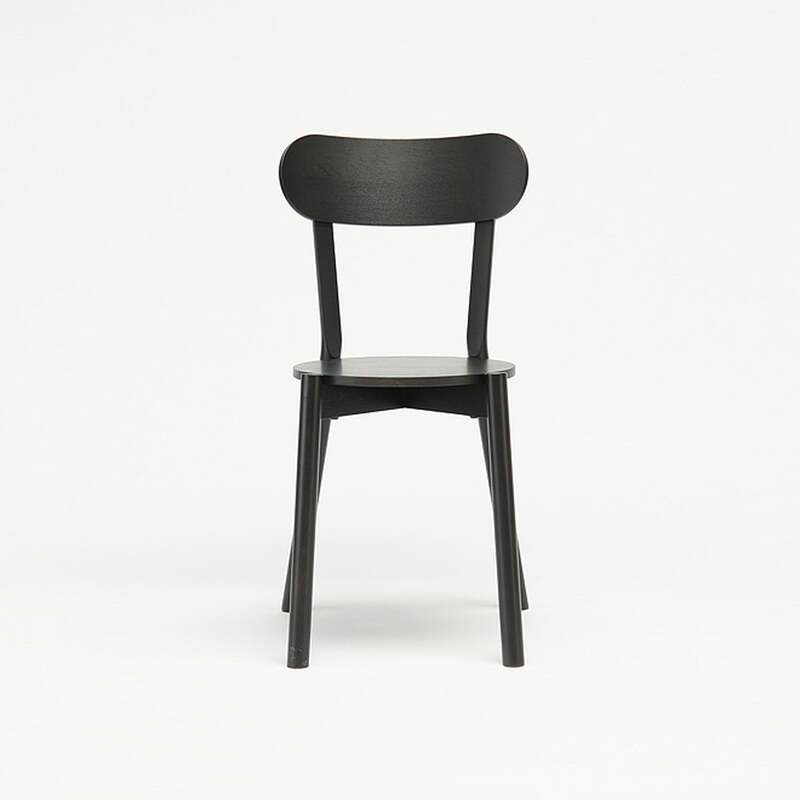 Individual image of the Karimoku New Standard - Castor Chair. Simple, geometric shapes determine the design of this classic classic chair in solid wood. 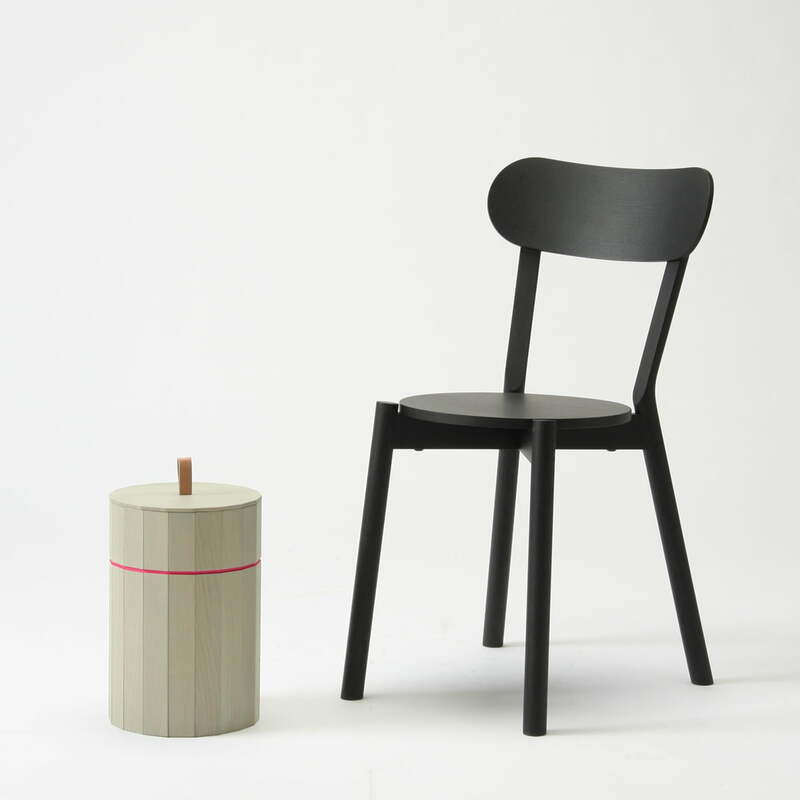 Ambience image of the Karimoku New Standard Castor Chair with Colour Bin. 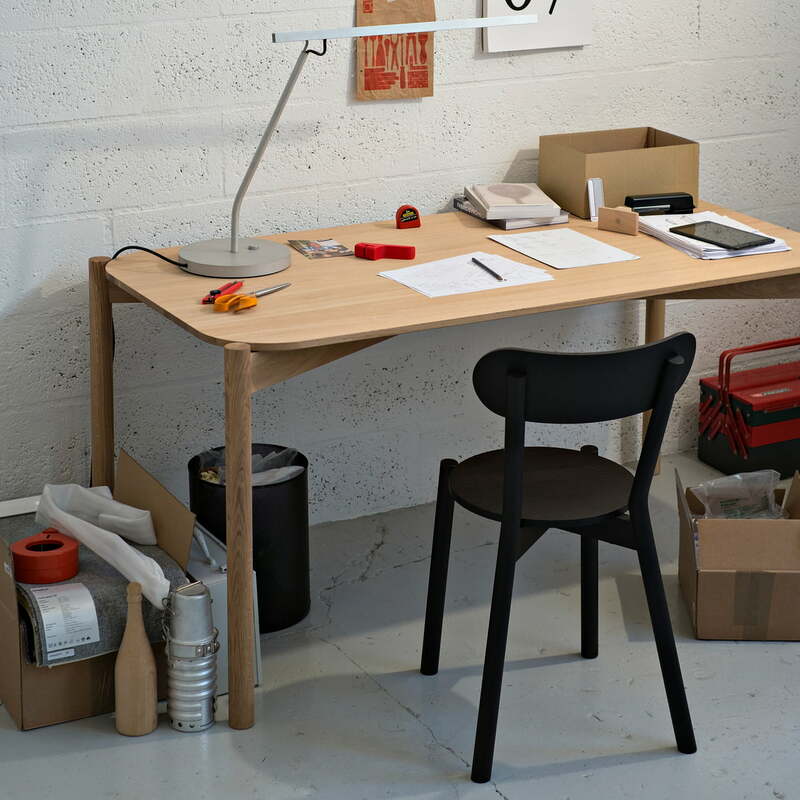 These two products from Karimoku form the perfect team for the workplace in the office. 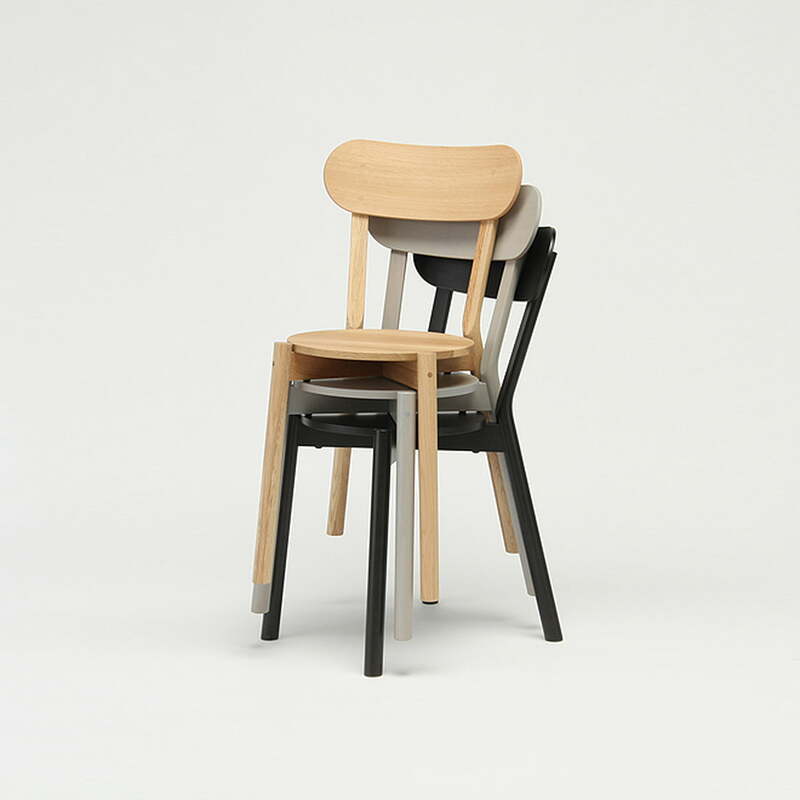 Situation image of the Castor Chair from Karimoku New Standard. A practical feature is that the Castor Chair is simply stackable for max. five chairs. 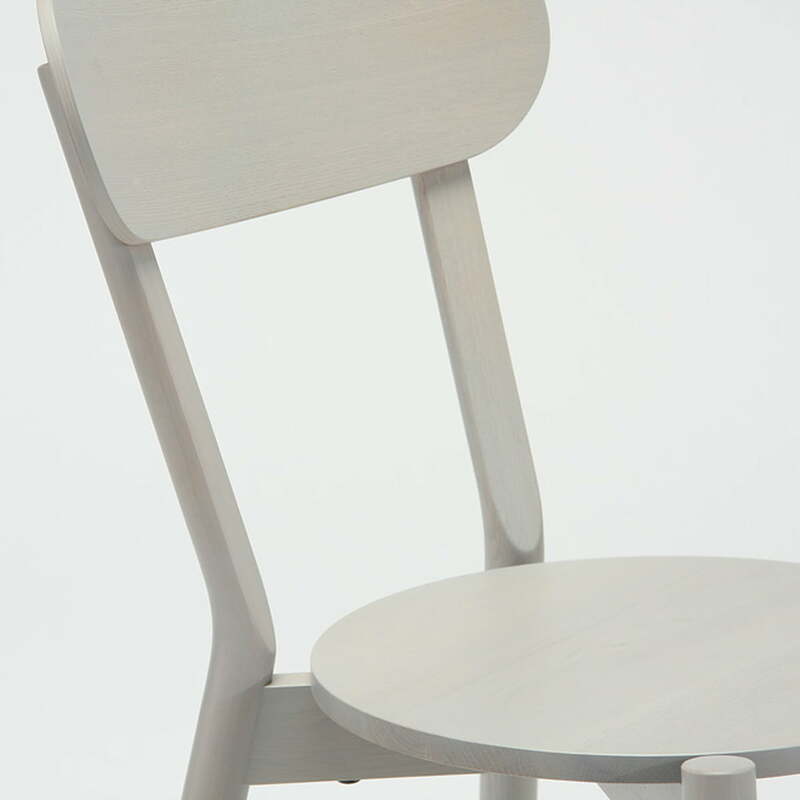 Detail view of the Karimoku New Standard - Castor Chair. The interplay of different geometric shapes and the quality workmanship make the Castor Chair special. 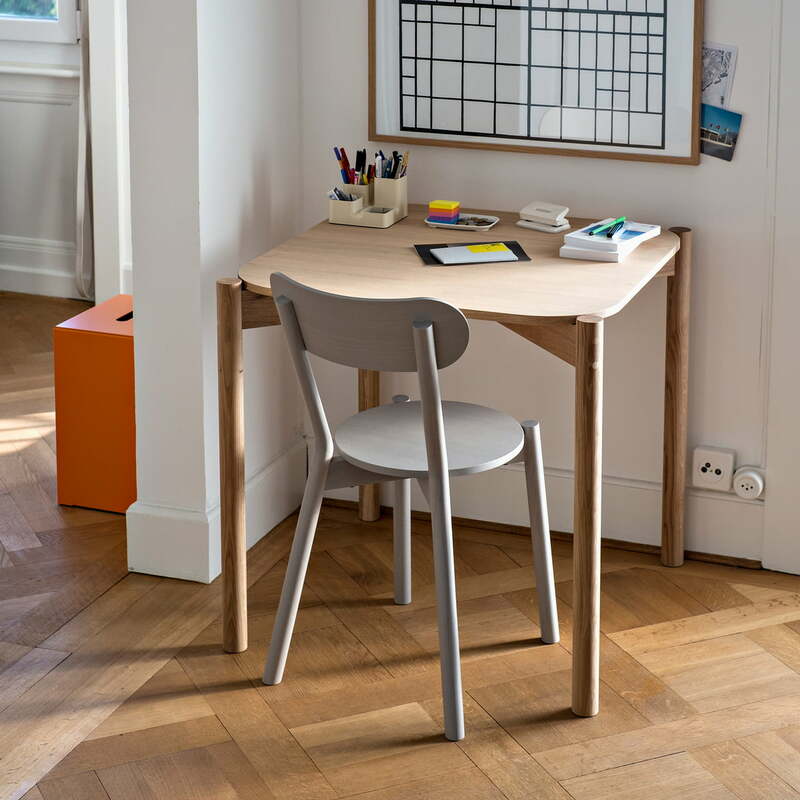 The wooden chair by Karimoku can be stacked up to 5 times and is exceptionally light, making the chair versatile in your home as well as in commercial spaces, where it can be stored to save space if necessary.